The Kerala Travel Blog – Experience Kerala | What makes Kerala a popular medical tourism destination? What makes Kerala a popular medical tourism destination? Kerala is a stunning tourist spot globally known for its backwaters, waterfalls, tea estates, and Ayurveda. The tourism industry has always been the backbone of Kerala’s economy, as it attracts visitors from all over the world. Kerala – God’s own Country – offers a wide range of thrilling and exciting adventure sports. Kerala owes more than this. The state is also a popular medical tourism destination also. As medical assistance is getting expensive in western countries commoners are finding it difficult to bear medical expenses in their own country. Therefore they visit countries seeking cheaper medical care with quality at par with international standards. Kerala has emerged as the major center for international medical tourism. Kerala was already famous for its Ayurvedic treatments, which is healing and rejuvenating. What makes Kerala such a sought-after medical tourism destination? Actually, Kerala is well connected by air travel to major destinations in the world. Another aptest reason is the weather of Kerala that stays moderate throughout the year. Patients take comparatively lesser time to recuperate from ailments because of this. Kerala is home to many hospitals having state-of-the-art medical technology. World-class doctors, well-trained and dedicated medical and staff work dedicatedly to provide the best medical care. Language too is not a barrier as Kerala has a large population that talks in English. And the most important and determining factor is the cutting of exorbitant costs medical treatment in their home country. The world has truly acquired a global perspective. People from across the world are traveling to another country as if they are traveling to a neighboring city in their own country to avail of the healthcare facilities. Developed countries like the big US and the UK are no longer the bastions for delivering the best. Counties like India are on the fast track towards excellence in virtually every field of knowledge, paramount among these being the medical tourism. With a stout clutch of immaculate and well-trained healthcare specialists, expert doctors and impeccable nurses in these erstwhile developing countries, there is no longer the mandatory need to spend a precious extra buck on surgeries in countries like the US and the UK. Due to its low infant mortality, higher education levels, higher incomes, and improved health indicators, Kerala has the highest lifespan of 74.9 years amongst all Indian states. From mid-July to mid-August in Kerala considered to be the Karkidaka month all the native people take rest from physical works and during that time special medicinal meal called ‘ Karkidaka Kanji” is eaten to improve health. Kerala is a tourist destination for all around the year. The good guides can give you the best options and guidance for each season. Apart from medical treatment, patients and their attendants can also take a tour of this beautiful land. The top-notch hospital facilities, clinical care, and lovely climate make treatment and healing in Kerala a great experience. Kerala has adequate fresh water supply and people living in villages have the habit of drinking herbal water after boiling. Even though during the monsoon season, there are dengue cases in Kerala but with the right medication, you can cure the disease. Immunization drinks like papaya leaves juice and wheat grass juices can help greatly. These drinks used as local home remedies that increase platelet counts in blood. The serene beaches of Kerala have spread the word of Ayurvedic treatment. These treatments rejuvenate the body, mind, and spirit of the tired and fatigued souls. 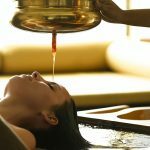 People from Gulf countries /Arabs as well as other parts of the globe are flocking to Kerala to reap the benefits of head and body massages with aromatic oils mixed with herbs of ayurvedic benefits. All in all, Kerala’s tradition is deeply connected with their health and lifestyle and the hospitals in Kerala are one of finest in the country. A German traveler has written an informative blog about her first ayurveda experience in Kerala. Read it right away! Why is Kerala a popular destination for medical tourism?